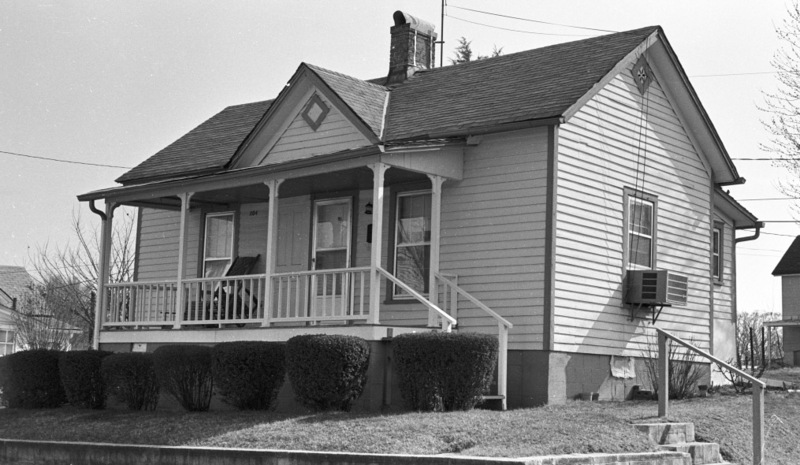 One-story, one-room-deep house with triple-A roofline and rear ell, built c. 1900. Unaltered except for removal of one of two front doors. Well preserved house has two-tone paint scheme that highlights trim. Heavily modified and added onto in early 2000s by the Durham Housing Authority; now a multiplex with main entrance off a parking lot at the rear.